Tendering for research grants and consultancy. Get a taste for the Master of Evaluation with this course aimed at giving you core concepts to become a leader in the field of evaluation. 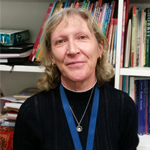 Professor Lesley Farrell is Associate Dean Research at the Melbourne Graduate School of Education. 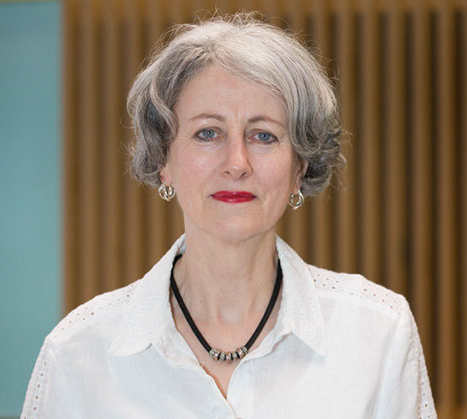 Prior to joining the Graduate School, she held the position of Professor of Education and Associate Dean Research in the Faculty of Social Sciences at the University of Technology Sydney, and has held appointments at Monash and Deakin universities. Her research focuses on language and social change, especially relating to the education of globally distributed workforces. Recent publications include Knowledge mobilization and educational research: Politics, languages and responsibilities and Educating the global workforce: Knowledge, knowledge work and knowledge workers. 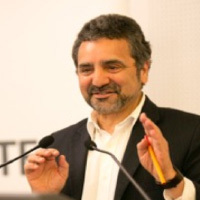 Joseph Lo Bianco is Professor of Language and Literacy Education at the Melbourne Graduate School of Education. Prior to his current role, he was Chief Executive of the National Languages and Literacy Institute of Australia. From 2011-2017, Joseph served as Research Director of the UNICEF Language and Peacebuilding initiative in Malaysia, Myanmar and Thailand, and as Senior Research Advisor for the European Commission project Languages in urban communities: Integration and Diversity for Europe (LUCIDE). In his work he supports international research projects in several countries on language planning, multiculturalism and intercultural education and also advises on language, culture and literacy education, the integration of indigenous and immigrant children into mainstream schools, and reconciliation and peace through education. Joseph combines research studies with practical intervention to help people affected by conflict to promote social cohesion and peace-building. He has published extensively, with over 32 books and 130 articles and chapters. His research interests also include Asian studies and Italian language and cultural history. Larissa McLean Davies is the Chief Investigator (CI) of the project. Larissa has a PhD in Literary Studies and is an Associate Professor in Language and Literacy, and Deputy Director - Learning and Teaching in the Melbourne Graduate School of Education at the University of Melbourne. As Deputy Director – Learning and Teaching, she has oversight over the Master of Teaching Early Childhood, Primary, Secondary and Secondary Internship, and is currently leading the re-development of the Master of Teaching for re-accreditation in 2016. Larissa is a Senior Researcher in the International Teacher Education Effectiveness Hub, where she leads research at the interface of pre-service curriculum development and teacher education effectiveness research. In addition to frequent conference presentations, Larissa is regularly asked to talk about teacher education and a clinical approach to learning and teaching, and has given invited presentations at the House of Lords as part of the UNESCO Educational Futures Forum, at Oxford and Plymouth Universities, and for the Victorian Institute of Teaching and the Victorian Department of Education and Training. Larissa is co-editor, with Brenton Doecke and Philip Mead, of the first book to bring together secondary and tertiary teachers of literature in Australia: Teaching Australian Literature: from classroom conversations to national imaginings (Wakefield/AATE). Larissa’s current research in this area is on the role of ‘literary sociability’ in English teachers’ professional learning. Russell Cross is Associate Professor in language and literacy education. 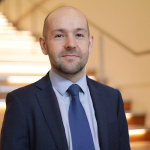 He leads teaching and research initiatives with a focus on content and language integrated learning (CLIL), and teachers’ practice in languages education more broadly. With a focus on the sociocultural and political nature of teachers’ work and knowledge, Russell’s work has appeared in Modern Language Journal, Teachers and Teaching and Language & Education, among others. With Trevor Gale from the University of Glasgow and Carmen Mills from the University of Queensland, Russell is current Chief Investigator on the Australian Research Council’s national discovery project, Social justice dispositions informing teachers' pedagogy in advantaged and disadvantaged secondary schools. 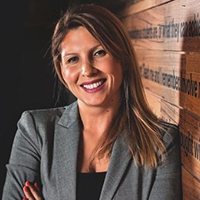 Dr Daniela Acquaro is the Program Coordinator of the Master of Teaching (Secondary) at the Melbourne Graduate School of Education, and a Senior Lecturer in teacher education. Her research focusses on initial teacher education, teacher effectiveness and teachers’ lives. Daniela joined the University of Melbourne after sixteen years of professional experience in various secondary schools teaching languages, English and humanities. She is interested in how initial teacher education can prepare teachers for alternative and global educational settings, and is currently working on various research projects focusing on initial teacher education effectiveness. Dr Alex Bacalja is a Lecturer in language and literacy, and coordinates the English Method and Literacy subjects within the Master of Teaching (Secondary) program. He has worked for over a decade in secondary schools across Melbourne in both teaching and leadership roles. Alex’s research focuses on contemporary literacies, including the digital literacies taught and practiced in school and work environments. His recently published PhD studied the place of video game literacies within the context of subject-English teaching. 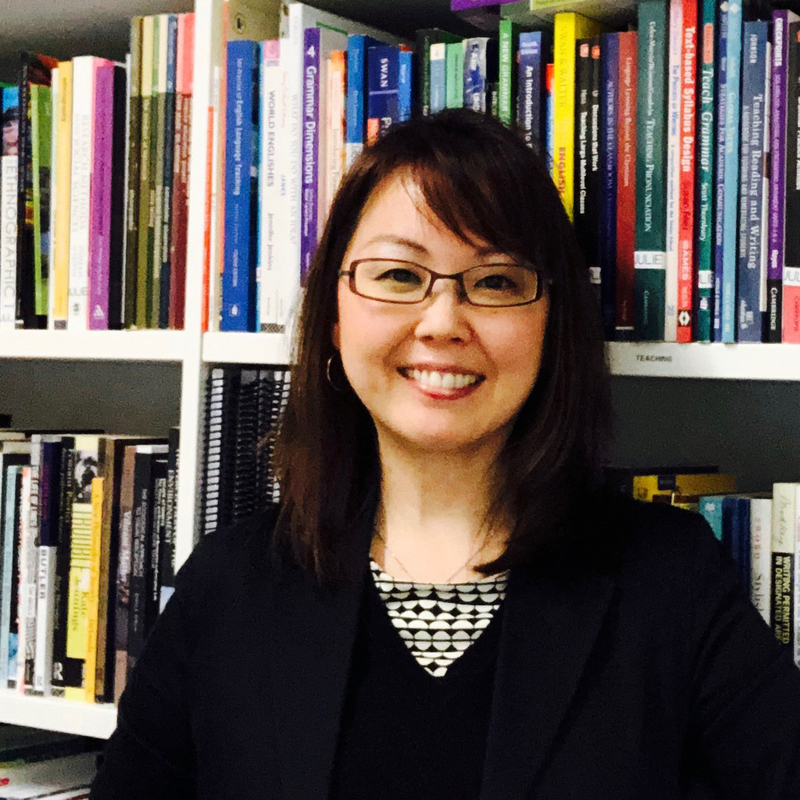 Dr Julie Choi is Senior Lecturer in Education (Additional Languages). She has worked in the areas of adult English as a Second Language (ESL) or English as a Foreign Language (EFL) teaching in China and Japan, and in professional Teaching English to Speakers of Other Languages (TESOL) teacher development with tertiary-level students in Australia. Julie’s research projects focus on translingual pedagogies and the language and literacy needs of refugee background women and youths in Australia. Julie is co-editor of the book Language and Culture: Reflective Narratives and the Emergence of Identity (2010), Plurilingualism in Teaching and Learning: Complexities across Contexts (2018), and sole author of the book Creating a Multivocal Self: Autoethnography as Method (2017). 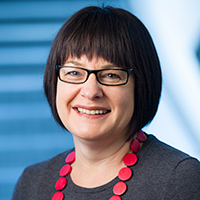 Tricia Eadie is a speech pathologist, academic and researcher with expertise in early childhood development - specifically speech and language. She has held academic positions at several Australian universities and research positions at the Murdoch Children’s Research Institute and Norwegian Institute of Public Health. Tricia’s research focuses on developmental pathways and risk factors for language and literacy development, evidence-based practices in classroom interventions with teachers (focussing on links between language and literacy), and early childhood pedagogies, including intentional teaching practices and instructional support that promote the quality and quantity of language used in adult-child interactions. Tricia’s publications include Identification of children at risk of developmental and speech/language delay and Teacher focused interventions and family access to services. 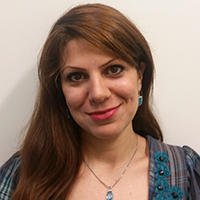 Dr Mahtab Janfada is a lecturer and subject coordinator in the Master of Teaching English to Speakers of Other Languages (TESOL) and Master of Education programs, and a Melbourne Early Career Academic Fellow (MECAF). She taught English for general and academic purposes courses at numerous universities in Iran, as well as Medical English at Tehran University for a number of years. Paul Molyneux is a Senior Lecturer in language and literacy education. He teaches in pre-service and professional masters courses that focus on primary school language and literacy. Paul’s research centres on linguistically and culturally diverse students, particularly the transformative potential of bilingual and place-based education for immigrant, refugee and marginalised learners. His doctoral and postdoctoral research has been undertaken within Australia and internationally. 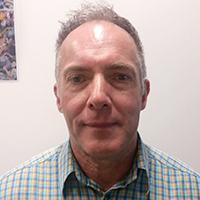 Paul led a longitudinal study of Karen-English bilingual education in Western metropolitan Melbourne and is currently part of a team developing a literacy teaching resource for the Victorian Department of Education and Training. Dr Chris Corbel is a lecturer in language and literacy with a background in Applied Linguistics. 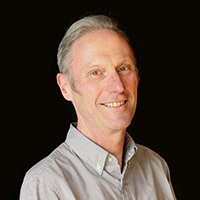 Chris has extensive experience as a language teacher, educator and manager in post-compulsory, vocational and tertiary education, in the public, not-for-profit, and private sectors, where he has managed teaching and learning support units and led numerous curriculum, professional and resource development projects. His research focuses on the language of vocational educational policy and curriculum and the emergent literacies of Industry 4.0. He is co-convenor of the biennial Cambridge Symposiums on Knowledge in Education. His most recent publications include Corbel, C. (2014). ‘The missing ‘voice’ of knowledge in knowledge and skills’. In E. Rata & B. Barrett (Eds. ), The future of knowledge and the curriculum (pp. 104-119). Basingstoke: Palgrave Macmillan; and Farrell, L., & Corbel, C. (2017). Literacy practices in the gig economy. The Literacy 4.0 Project Working Papers. Melbourne Graduate School of Education. 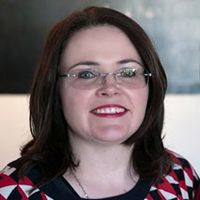 Dr Annemaree O’Brien is a Lecturer and subject coordinator in language and literacy education in the Master of Teaching (Primary), Master of Teaching (Secondary), and Master of Education in the Melbourne Graduate School of Education. Annemaree is interested in the impact of digital communication technologies on contemporary literacy practices and what this means for teachers across all disciplines. Her recent research examined teaching multimodal authoring in the middle years of schooling, focusing on visual grammar, the design of interpersonal meaning using systemic functional semiotic perspectives, digital technologies, and pedagogy. Her current research interests include teaching writing, and creating multimodal texts, and literacy in content areas. Annemaree has extensive professional experience in language and literacy education. Before her appointment to the University of Melbourne, Annemaree taught for ten years in a range of Victorian schools, worked as a senior regional English curriculum consultant, as an education programmer at the Australian Centre for the Moving Image, and as Education Projects Manager for the Australian Children’s Television Foundation. 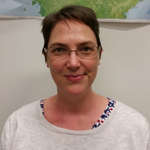 Carmel has extensive experience in primary language and literacy education and has worked in schools, government departments and local and international teacher education institutions. Her research and expertise is in systemic functional linguistic, grammar and literacy teaching, teaching and assessment of writing, and English as an Additional Language, particularly in the primary years of schooling. Carmel’s most recent publications have reported on teachers’ knowledge of language and its impact on writing. She was the Lead Researcher for the Department of Education and Training (DET) funded project Literacy Teaching Toolkit for schools. 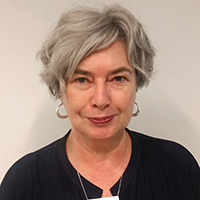 Yvette Slaughter is senior lecturer in language and literacy education at MGSE and her teaching focuses on second language acquisition and second language teaching methodologies. Before moving MGSE, Yvette worked as a researcher at the Faculty of Arts - Research Unit for Multilingualism and Cross-Cultural Communication. Her work across the two faculties has allowed her to engage with a range of areas from multiple perspectives, including plurilingual pedagogies and multilingualism in education; language policy and planning, bilingualism and bilingual education, and the use of ICT in both program delivery and teaching practices. Enabling pluralism: eliminating educational inequity in languages provision in Australian schools. Martina Tassone teaches in the Master of Teaching and Master of Education language and literacy subjects at the Melbourne Graduate School of Education (MGSE). She has also worked on key literacy projects with Catholic Education Melbourne. She currently supports a number of Catholic Primary school leadership teams with facilitating change in literacy learning and teaching. She is currently completing her Doctor of Education researching the assessment literacy of teachers in the early years of primary schooling. Martina is also the coordinator for Master of Teaching Early Childhood and Primary course at MGSE. 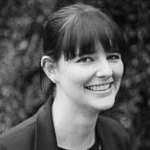 Dr Lucy Buzacott is a Research Fellow and Project Manager at the Melbourne Graduate School of Education at the University of Melbourne. She currently manages the ARC funded project Investigating Literary Knowledge in the Making of English Teachers as well as contributing to projects related to national literatures, literary knowledge, and English curriculum. She has a PhD in Literary Studies from the University of Queensland. Her PhD explored the intersection of race and gender in the work of William Faulkner. Her current research interests include Australian and American literature, critical race and whiteness studies, and secondary and tertiary English education. Dr. Truman's qualitative research focuses on English literary education: specifically, how literary studies and literary interpretation are enacted in the secondary English curriculum; QT/BIPOC speculative fiction; and pedagogies of reading and writing. 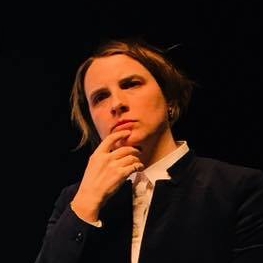 Her research is informed by curriculum studies and the feminist new materialisms, with a particular interest in theories of affect, queer theory, and speculative pragmatism. Dr. Truman is trained in qualitative research methods in the social sciences, and research-creation practices that straddle the social sciences, humanities, and arts. She is co-author of Walking Methodologies in More-than-Human World: WalkingLab; co-editor of Pedagogical Matters: New Materialism and Curriculum Studies; and author of Searching for Guan Yin. Dr. Truman's research has been supported through: a Social Sciences & Humanities Research Council (SSHRC) Postdoctoral Fellowship; four Ontario Graduate Scholarships; two Ontario Arts Council Grants. She is co-director of WalkingLab: www.walkinglab.org. Our research unit has contributed to several publications that explore issues and ideas in Language and Literacy. The Language and Literacy Research Hub currently offers numerous graduate courses. The Hub offers a range of training programs in literacy, including the Master of Literacy Education. There are also programs focussed on Languages education, such as The Master of Modern Languages Education, the Graduate Certificate in Languages Education, and the Professional Certificate in Education (Content and Language Integrated Learning.) These are professional development programs for those who wish to further their career in language and literacy. Those interested in TESOL programs should consider the Master of TESOL and the Graduate Certificate in TESOL. Academic staff at the LLRH are available to supervise students wishing to pursue a Doctor of Philosophy or Doctor of Education in language and literacy education. In public debate, language and literacy education is increasingly nominated as the answer to several urgent global policy problems including global economic growth, the challenges of technological innovation, national and regional economic competitiveness, stable democratic governance and individual human rights and participatory citizenship. Although Language and Literacy education is recruited to these causes, it is not always clear what is meant by language and literacy education, what contribution it can reasonably make to addressing these challenges, what success would look like or what trade-offs there might be between sometimes competing goals. Through this seminar series, we aim to make the voice of researchers and their research more prominent in public policy discussions. Often public debates are hamstrung by simplistic binary solutions to problems and equally simplistic categorisations of the nature of issues. Our goal is to articulate a collaborative research agenda which acknowledges tensions and differences in approach, and goals, but uses the ‘creative abrasion of difference’ to chart a way forward for language and literacy education research. What is language and literacy education for? How do we know if it is achieving its aims? What constitutes evidence in the assessment of language and literacy achievement? How can plurilingualism advance a new Languages and Literacy agenda to meet the changing needs to education? What are the connections between education and social cohesion? Educational, linguistic and psychological perspectives. The National Policy on Languages (NPL), written by Joseph Lo Bianco and passed by parliament in 1987, was the first comprehensive national language policy in an English speaking country. It was adopted by the Australian government as an inclusive national plan to cover Australia's language needs and interests including: English and English literacy, deafness and sign language, indigenous languages rights, community and Asian languages, cross-cultural and intercultural training in professions, extensions to translating and interpreting services, multilingual resources in public libraries, media, support for adult literacy and English as an Additional Language (EAL). The NPL resulted in significant investment at national and state level and the development of new policies on language and literacy. An audio-recording of Seminar 4 is available here.